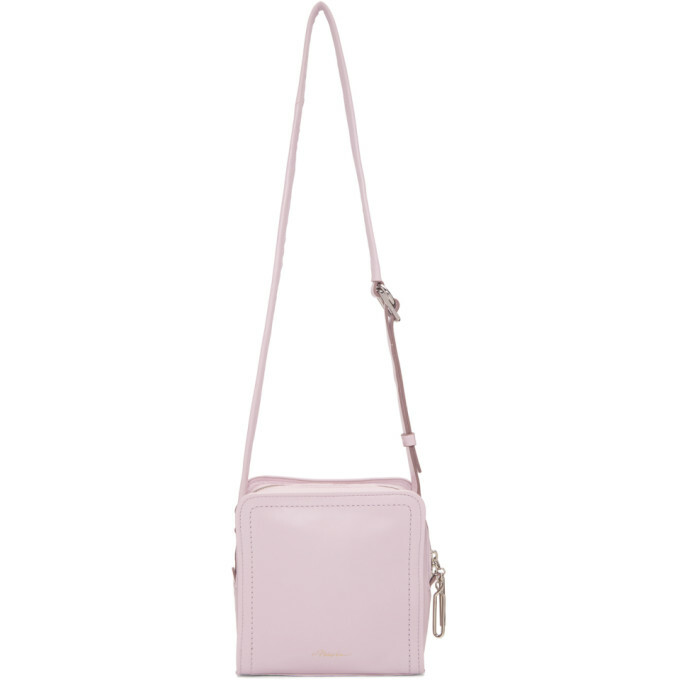 Soft leather crossbody bag in blossom pink. Adjustable shoulder strap. Gold tone logo embossed at face. Patch pocket at back face. Zip closure at main compartment. Patch pocket and leather pull loop at black textile lined interior. Silver tone hardware. Tonal stitching. Approx. 7 length x 7 height x 3 width.